Parker Racing is a family business, situated on the Bellarine Peninsula, near Geelong in Victoria, Australia. We hope you will take the time to browse through this website. Come back often and keep up-to-date with all our racing news! 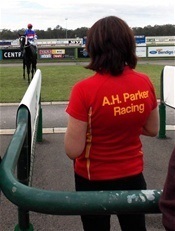 The philosophy of Tony Parker Racing is a holistic approach to each individual horse, its health and its ability. Regular beach work is integral to the training program, as are three feeds a day and individual paddocks. 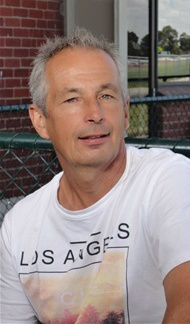 Bloodlines and DNA are important in racing and, in Tony's case as a trainer, his 'bloodline' testifies he is a fourth generation equine training professional. For Tony Parker, when it comes to training racehorses, 'it's in his DNA'. If you are thinking about becoming a racehorse owner, Tony Parker Racing sometimes has limited shares available in bloodstock for your consideration. Click on the menu to the left to learn more about our philosophy and the horses in our care. Thank you for visiting the Parker Racing website. Please click on this link to contact us for more information or ring Tony on 0427 440 618. 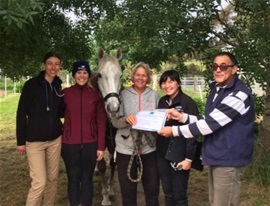 Parker Racing was presented with a certificate of appreciation from the University of Melbourne Equine Centre in Werribee, for providing assistance and experience to students from the Doctor of Veterinary Medicine (DVM) course throughout 2017. In the photo, some of the DVM students and equine specialist Mr Charles El-Hage are making the presentation. 'A.H. Parker Racing' is registered with ASIC and operates under the parent company Keswick Lodge, trading as AH and VM Parker, ABN 93 267 542 460. Some of the horses showcased on these pages are held both under business names and privately by the principals and, in some instances, in partnership with others. URLs on this website were current at the time of inclusion. Tony Parker Racing takes no responsibility for the continued currency of the associated websites. Website administration by Charlie C. Editorial Pty Ltd.